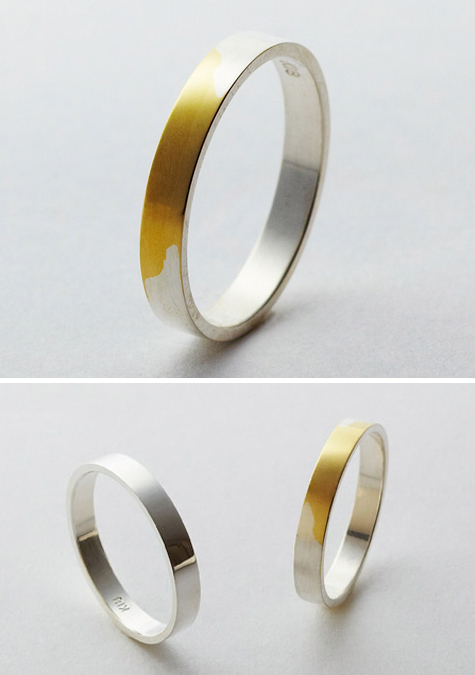 A gold wedding ring which gradually changes its appearance as it is worn, designed by Torafu Architects in Japan. Coated on the surface of the gold ring is a thin layer of silver, and as time passes the silver rubs off to reveal the gold inside. The time shared between two people can thus be felt with the wearing of this ring. Poetic.